We’re very excited about the fun Friends-funded activities that are coming up at the Carrollton Public Library for the holidays and winter break. Mark your calendars and join us for some of these great events during the holiday season. Attention Harry Potter fans of all ages! 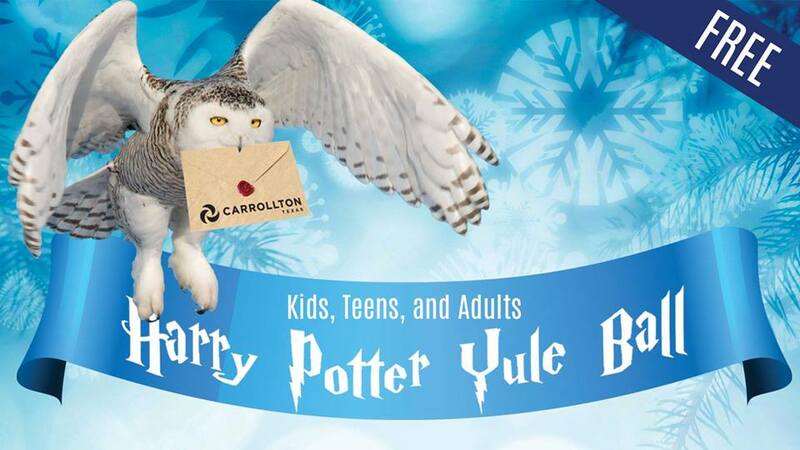 Join us at the Josey Ranch Lake library for our very own Yule Ball inspired by Harry Potter and the Goblet of Fire. The party starts on December 29 at 6:30 pm. In addition to the festive Yule Ball, complete with dancing and music, there will be Harry Potter themed crafts, games, and a photo booth. Dressing up is encouraged, so put on some semi-formal wear, formal wear, or your best wizarding robes! Got some little ones who aren’t in school yet? Stop by the Hebron and Josey Library on Wednesday, December 13 from 10:30-11:30 am to read stories with Mrs. Claus and meet Santa! It’s back! 12 Days of Winter Break is here again, with crafts, activities and more from December 26 to January 7. Visit the Library Calendar for activity details and times.